Fun to be had in Waterbury, Vt. 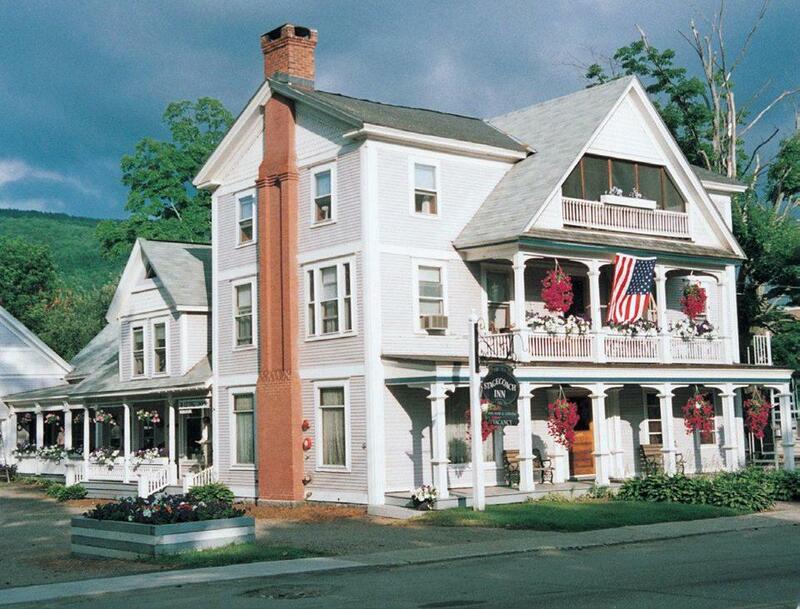 The Old Stagecoach Inn features an elegant parlor and book-lined library bar. Remember the summer of 2011? Vermonters aren’t likely to forget it. Three years ago this August, Tropical Storm Irene dumped 11 inches of rain on central Vermont, from Waterbury to Wilmington. Six people died, and the torrent ravaged homes, roads, bridges, farm fields, and businesses. Fast forward to now: After the challenges of repairing and rebuilding, local proprietors are eager to share the glories of their gorgeous green valley with visitors. Bisected by Interstate 89, the villages of Waterbury and Waterbury Center are blessed with a bounty of things we love about Vermont: great eats, beautiful outdoors, and sporty activities. (And of course, there’s cheese.) Perhaps you’ve done the tour at Ben & Jerry’s Ice Cream Factory in Waterbury, en route to Stowe. But that doesn’t count as “doing” Waterbury, an area with wonderful hikes, a cool network of mountain biking trails, several fun pubs, and even a lake with a swimming beach. All that, and ice cream samples . . . not too shabby! ofthewood.com; small plates $7-$15; large plates $22-$29), where the locally sourced, daily-changing menu might include ham-wrapped rabbit loin with apples and kohlrabi in crème fraiche or hanger steak with coal-roasted onions and beets with blue cheese. Ask for a table that overlooks the waterfall. Honors for best pizza in town go to The Blue Stone(15 Stowe St., 802-882-8185; www.bluestonevt.com/yes; $9.50-$15), home to rustic pies piled with unusual toppings like jerk chicken and roasted tofu. The Woodchuck is like a best-of-Vermont sampler: smoked ham, chicken-apple sausage, Grafton cheddar, green apples, and thyme. Great beers are on tap, too, like the beloved Heady Topper from local breweryThe Alchemist. In-the-know locals head straight back to the pub or deck area at the Reservoir Restaurant and Tap Room (1 S. Main St., 802-244-7827; www.waterburyreservoir.com; $8-$18), order one of the 30-plus beers available, and choose among the comfort-food options, including a worthy mac-and-cheese, poutine, spicy wings, and truffle fries. (As a nod to the health-conscious, the arugula salad is tasty, too.) Be sure to pay your respects to the leg-shaped lamp, shades of “A Christmas Story.” Meanwhile, Cider House BBQ & Pub (1675 US 2, 1.7 miles west of Waterbury, 802-244-8400; www.ciderhousevt.com; $17 and up) brings a taste of the South up North, with a menu that features Southern faves like blackened catfish, chicken fried steak, okra, collard greens, and fried green tomatoes. Drinks are more local, including cider from Waterbury’s Cold Hollow Cider Mill. It’s practically the law that visitors go on Ben & Jerry’s ice cream factory tour (1281 Waterbury-Stowe Road, 866-258-6877; www.benjerry.com; 30 minute tour, $4, free for age 12 and under); actual manufacturing takes place Monday through Friday. Other sightseeing stops include Ziemke Glass Blowing Studio (3033 Waterbury-Stowe Road, 802-244-6126; www.zglassblowing.com), where glass artist Glenn Ziemke creates classically inspired art glass pieces, and Cold Hollow Cider Mill (3600 Waterbury-Stowe Road, 800-327-7537; www.coldhollow.com), a gift shop/bakery/cider mill where you can watch cider being pressed (three or four days a week in the summer) and pick up cider, cider doughnuts, cider jelly . . . you get the idea. But you’ll want to spend most of your time outdoors. With a backdrop of mountains, Waterbury offers some wonderful day hikes. We love the Stowe Pinnacle hike, a 2.8-mile round trip (with an elevation gain of 1520 feet), with a trailhead off Gold Brook Road. The blue-blazed trail leads to the open summit of Stowe Pinnacle in the Worcester Range, offering fabulous views of the Green Mountains (including Camel’s Hump and Mt. Mansfield) and into the Stowe Valley. Speaking of Camel’s Hump, you can head up this famous, challenging peak from the Waterbury side. For trail maps, and to find a hike that fits your abilities, visit the Green Mountain Club headquarters (4711 Waterbury-Stowe Road, 802-244-7037; www.greenmountainclub.org). If biking is more your thing, consider pedaling a portion of the Route 100 corridor, a US Scenic Route that runs north to Stowe and south to the Mad River Valley. Mountain bikers, check out the Perry Hill Trail System (www.stowemtnbike.com), a 15-mile network of three looped, single-track trails, rated intermediate, that deliver a technically challenging ride. 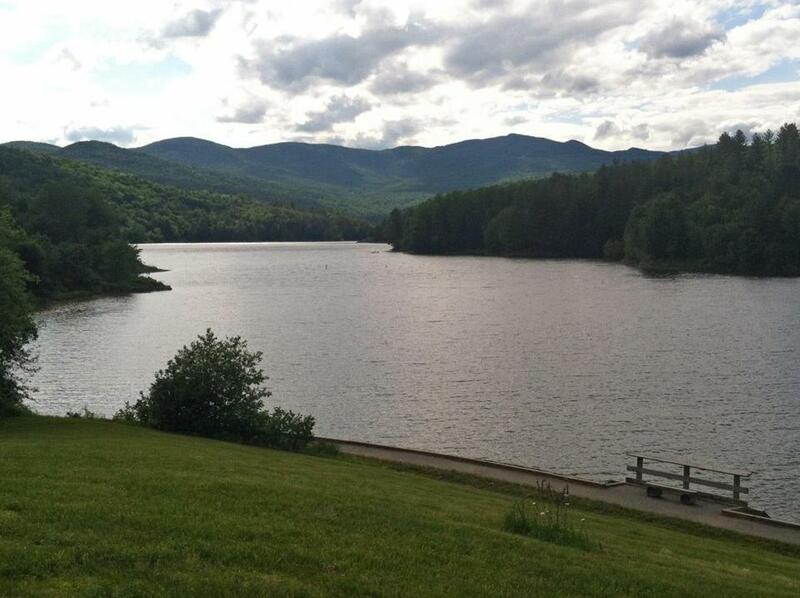 For easygoing pleasures like picnicking and swimming, head to Waterbury Center State Park (177 Reservoir Road, 802-244-1226; www.vtstateparks.com; $3 per adult; $2 age 4-13), set on a 90-acre peninsula on the Waterbury Reservoir. Onsite kayak rentals are available from Umiak Outdoor Outfitters, www.umiak.com. Waterbury Center State Park is set on a 90-acre peninsula on the Waterbury Reservoir. 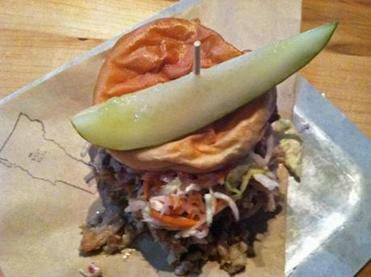 Prohibition Pig features an intriguing cocktail menu and North Carolina barbecue like this chopped pork sandwich. Waterbury is Pub Central, and these lively nightspots are all in the village, within walking distance of each other. The Reservoir (see preceding page), a favorite local haunt, offers live music and dancing on weekends, and 37 beers on tap. For a speakeasy feel, and an intriguing cocktail menu (including the Whiskey Pickle, made with house pickle juice) and tasty North Carolina barbecue, grab a stool at the Prohibition Pig (23 S. Main St., 802-244-4120; www.prohibitionpig.com). Oenophiles, pop over to the Cork Wine Bar & Market (1 Stowe St., 802-882-8227; www.corkvt.com) and settle in for a glass of something sparkly on the porch. They offer live music some nights, too. Named after a type of brook trout native to New England, Blackback Pub & Flyshop (1 Stowe St., 802-244-0123; www.blackbackpub.com) is run by a Vermont fly-fishing guide. Decorated with classic fly reels, the bar is intimate and chill, featuring as many as 25 craft brews. Bonus: They serve food from local favorite Mad Taco. Waterbury is 190 miles northwest of Boston. For information, visit www.waterbury.org.